yay!! A happy one! 🙂 I can feel a peachy fuzz of love and the sweet nectar that will keep delirium playing hide and seek within hot memories. 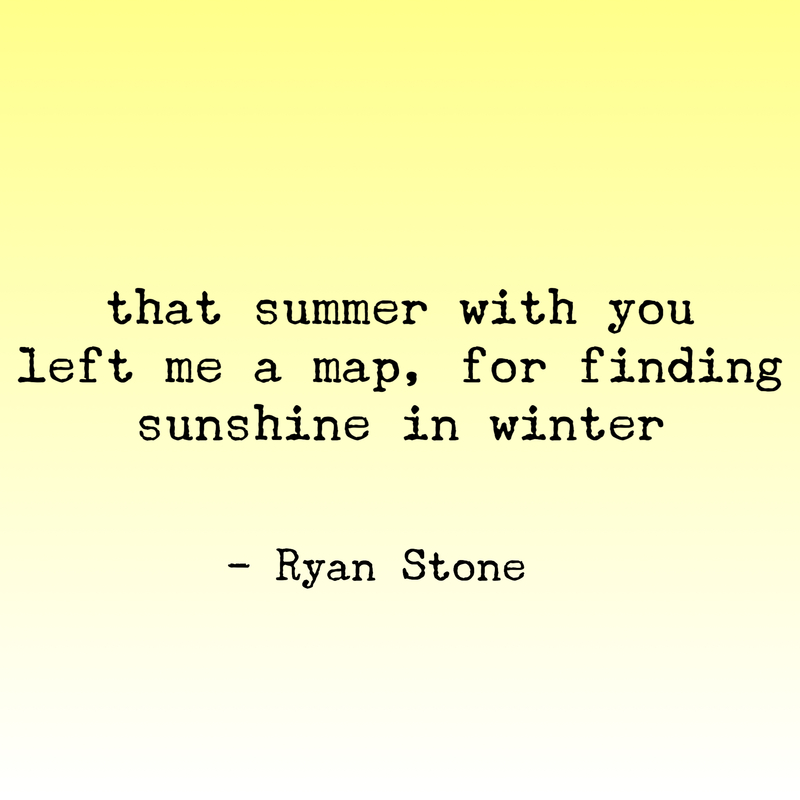 *Fist bump* Yes Ryan Stone! I concur. Judy and Ryan I need a wee explanation on the twist in the Haiku. Are the last 5 syllables supposed to reveal the twist? You know that the first and 2nd lines have to read together as one sentence as do the 2nd and third lines taken together. You can get the twist in the final five or somewhere in the 7 , as far as I know. I have to admit to bending the rules sometimes and not always getting the twist in. Haha, don’t let it bother you too much La Sabrosona (deliciously attractive woman? – nice) 😉 – I think the term haiku is used fairly loosely across the board. Your poetry is beautiful, whether it strictly qualifies as haiku or not isn’t important. I stick to calling mine 5-7-5 in reference to the syllable count, as they drift between haiku (focus on nature), senryu (focus on human nature) and just plain old verse in 5-7-5 format. – instead of saying how the scene makes you feel, try to show the details that caused the emotion in the first place. I tend to write more senryu. These are similar to the above explanation except that the focus is much more on human nature than on nature. Mil gracias for taking the time to explain all that Ryan. Appreciate it tons! Makes a lot more sense now. I tend to write off the cuff anyway, so I’m not really that much into rules but I will do my best. Do you speak/understand Spanish btw? Actually last year in the spring I got a flash of inspiration and I wrote my first poem in Spanish. I was very proud of the fact that I can think in Spanish well enough to pump out a poem (English is my first language), and I only began to learn Spanish in my late 20’s. Holy Chatty Cathy eh? What time is it where you are? That is very inspiring. I struggle to write in my native English! It is 11.55am on the 8th in Melbourne, Australia. You? You’re very sweet to indulge my chattiness at the moment. I wish you a beautiful Friday. Oh and I just wrote a Haiku/Senryu-ish in Spanish. You have some homework to do vecino, hehe. Well you won’t be the only one as I do it too! Your Haikus are great Judy! Mine are Haikus merely in terms of syllables. Absolutely. There is a phrase used in forensics (specifically dna) – ‘every contact leaves a trace’ – that I think can be applied perfectly to our relationships throughout life. i’m sorry for blowing up your notifications today. i keep telling myself, “just one more…” but i just. can’t. stop.